Nothing gets Jenna up and about like black coffee, loud music or the promise of a beautiful day outdoors. Jenna Hubert joined the KPS3 team in 2011 as a graphic designer. She originally focused on traditional print design, but eventually honed her (pretty amazing) digital skills and is now a key player in developing some killer web designs for KPS3’s clients. This head-first jump into digital strategy was one of Jenna’s most rewarding experiences, and something she attributes to the guidance and support of her fellow KPS3 programmers and designers. Jenna first experimented with design and layout in her high-school yearbook class and immediately knew she wanted to find a career that combined design, writing and strategic thinking. She earned her B.A. in journalism from the Reynolds School at the University of Nevada, and, during her time on campus, participated in the National Student Advertising Competition, through which she developed an integrated communications plan for State Farm Insurance. Prior to joining KPS3, Jenna gained experience working as a designer and as a copywriter. She also interned for the Nevada Small Business Development Center, supporting clients in their branding and marketing projects. 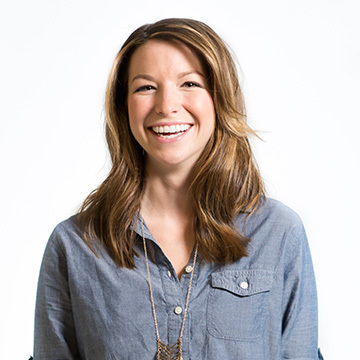 Jenna remains an active member of AIGA and served on its board in 2011-2012. She is also a co-founder of Reno Wired, an annual 24-hour event where some of Reno’s best designers, writers and developers come together to rebrand a nonprofit from logo to launch. Jenna finds her work in visual arts inspired by non-visual art-forms such as dance and music. When she’s not tapping her feet to the beat in our offices, you can find her with her jazz shoes on, dancing to the beat of anything from pop to bluegrass.